Now is the time of year to make hearty warming soups, and what better ingredient to use than squash! Not only is it good for you because of its high vitamin and fiber content, it is delicious as well in just about anything savory! 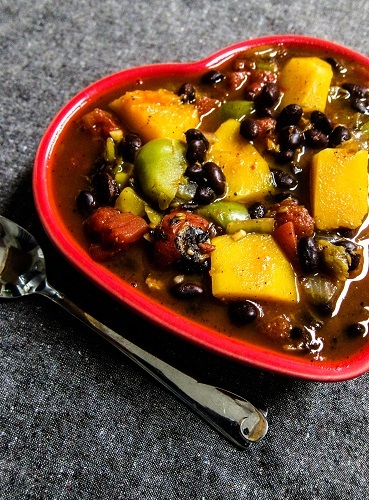 The recipe I am sharing with you today combines it with black beans and corn for the perfect balanced meal! It is fast and easy to make coming together in under an hour, and you will feel good after eating it not weighed down. Also, it happens to be gluten free and vegan as an added bonus! I like to make this and enjoy the leftovers for a few days, as the flavors get even better as they sit. 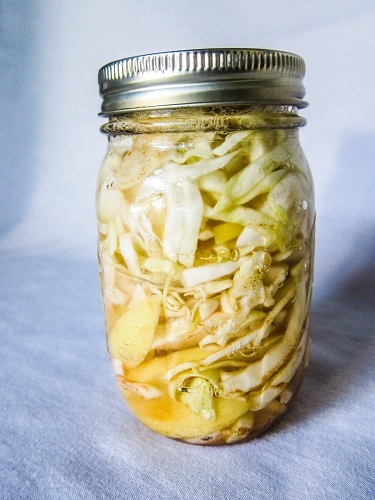 Making your own saurkraut at home is easy, and fun because you can create your own flavors. Not only that, it is rich in prebiotics and probiotics which are good for your digestion and gut health! The recipe I am sharing with you today is perfect for Fall, because it features apples as well as the cabbage, and it is really delicious! This is good as a side dish, or on sandwiches or, mixed into salads with similar flavors. I like to keep a jar of saurkraut in my refrigerator at all times, because adding it to meals is an easy way to keep my gut happier! Skip the unhealthy pumpkin shake at the fast food restaurant and make your own at home instead for a healthier alternative that will actually leave you feeling good without a sugar high. The recipe I am sharing with you today doubles as a dessert, or a breakfast on the go. It doesn’t contain any refined sugars, or dairy. The base is bananas instead of dairy, and I add medjool dates for sweetness and it is just right. Also I have included protein powder, because I like an extra boost in my shakes so it is the perfect thing to keep you satisfied until lunch. It has a swirl of vanilla pumpkin and chocolate shake so you get two delicious flavors in one drink! 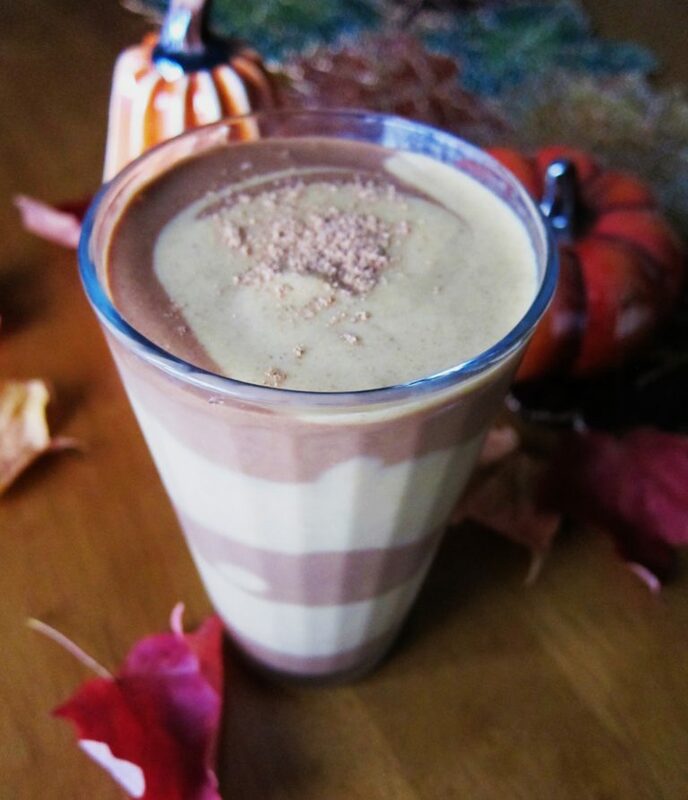 Give this a try next time you are in need of a pumpkin shake! Of course if you are not a chocolate fan, just make it plain pumpkin and leave out the cacao powder. 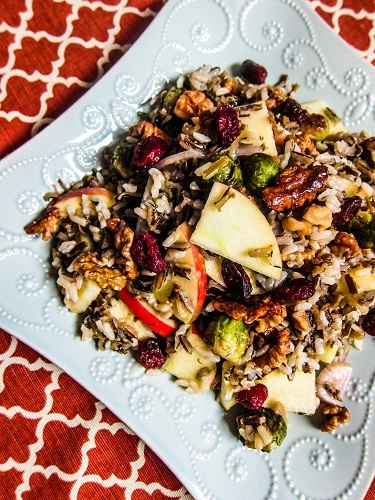 Wild rice is a Minnesota staple! But it isn’t just for soup and pilaf, I like it in hearty grain salads too! It is high in protein and fiber and something that I recommend eating often. The salad I am sharing with you today is perfect for Fall because it contains apples, roasted brussels sprouts and cranberries which are all coming into season now! 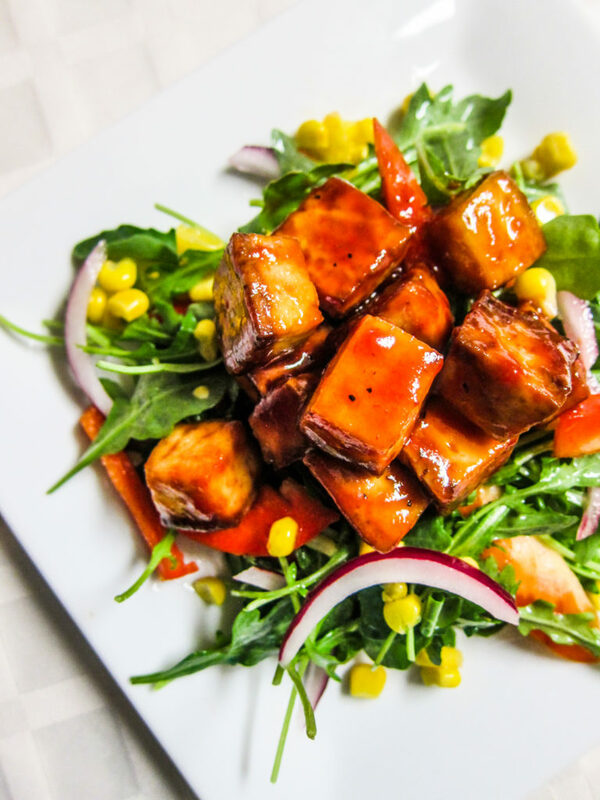 This salad is not only delicious, but good for you too! It would make the perfect side dish for Thanksgiving in a few months, but for now, I like to make a batch and enjoy it for a few days. I love apple season! There are so many delicious things that you can make with them, like apple pie! There is nothing like a home made apple pie made with local apple, served warm with ice cream! 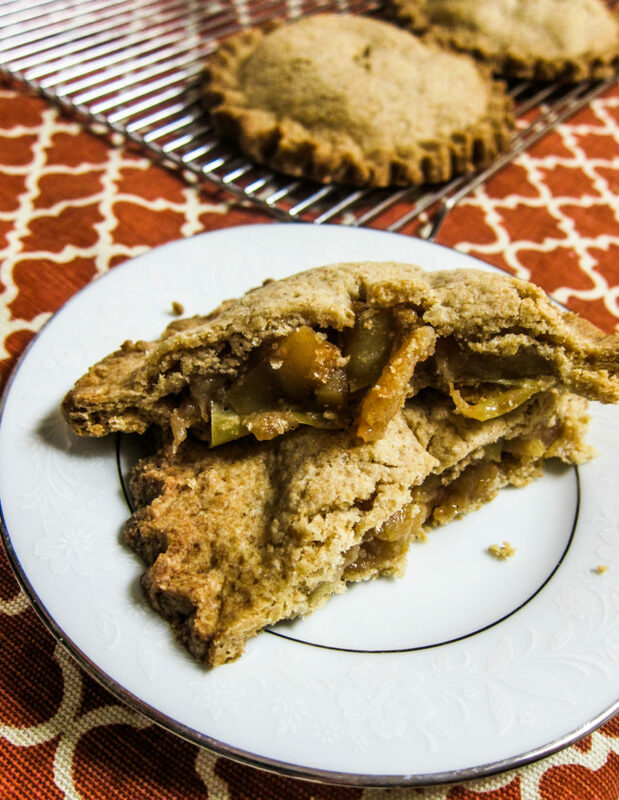 The recipe I am sharing with you today is for apple hand pies, which are perfect for entertaining, or bringing along in lunches because you get your own little pie! These happen to be vegan, I use coconut oil instead of the usual butter, and it makes for a really delicious buttery tasting crust! I use maple sugar in them as well, which gives them a lovely sweet maple flavor. These are the perfect thing to bake on the weekend when the weather is cool and you have a lot of apples on hand! If you have a dehydrator, making your own kale chips is easy, and you don’t have to be afraid of burning them like you might cooking them in an oven. The dehydrator gets them nice and crispy as well because it removes all of the moisture. 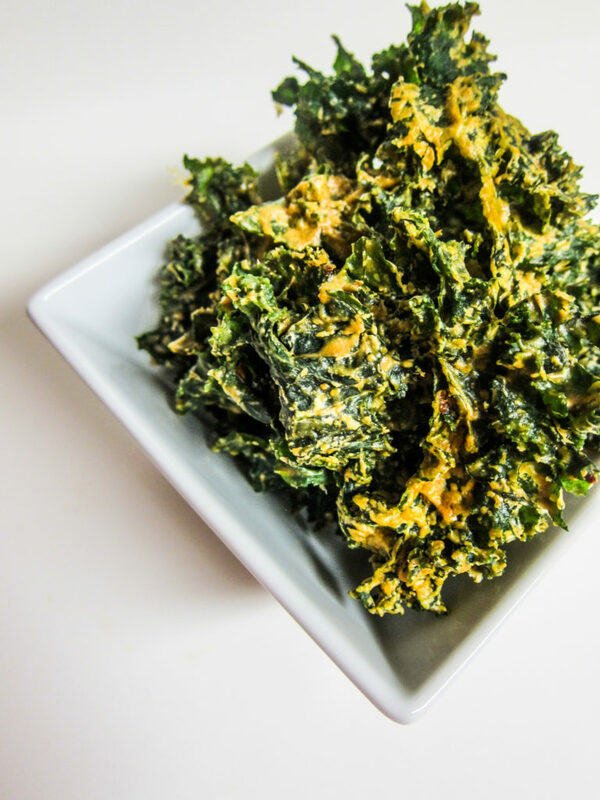 Today I am sharing my favorite flavor of kale chips with you all, my chili cheeze kale chips! I say cheeze, because they don’t actually contain any cheese, but taste like they do! I use a mixture of cashew butter, and nutritional yeast to create a cheese like flavor without using any dairy. This also makes them more shelf stable. I add in some chili powder and garlic and they are super delicious! If you are looking for a healthier chip like snack, these are a great alternative! Summer is the time when fresh berries are plentiful, at their most delicious and most affordable. 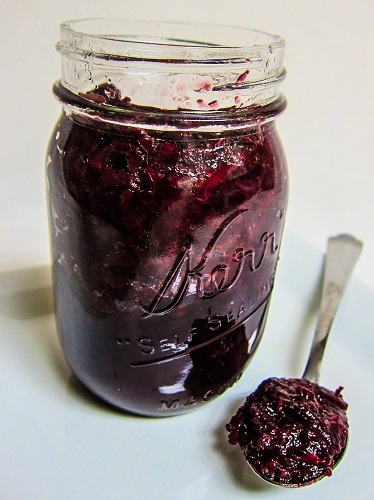 But when the cooler months hit, and the berries go away, I like to enjoy some delicious berry jam that I made with Summer berries! It really is pretty easy to make, and it is the perfect way to be able to enjoy those Summer berries all year round! The recipe I am sharing with you today is a lower sugar recipe, as I try to limit my sugar intake. It is just as delicious as regular jam though! You can find all of the ingredients for this recipe at Fresh and Natural Foods, including the low sugar pectin! Fall can be a busy time of the year, so I like to have healthy snacks on hand for when I need something fast to satisfy hunger. One of my favorite things to make for this purpose is energy bites. The ones I make are high in fiber, protein and heart healthy ingredients so I always feel good about eating them. Also, they taste like dessert, so sometimes I even swap them for cookies because I know it is the healthier option. 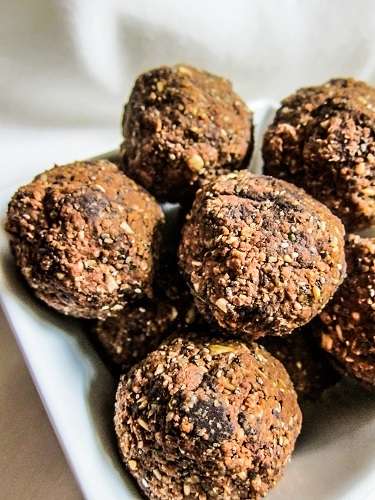 These ones I am sharing with you today are really delicious and have a chocolate base and chocolate chunks, but don’t contain any refined sugars (I use Luv sugar free dark chocolate)! If you need some healthy delicious snacks in your pantry, give these a try! 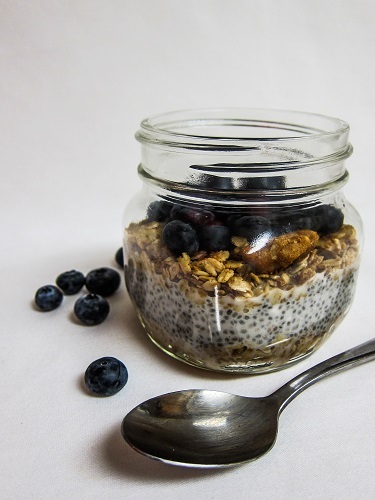 Combining chia seeds and oats makes for a hearty breakfast that will keep you full and satisfied until lunch. Of course you can mix them and make overnight oats, but I also like to make a chia pudding and granola parfait with fruit. I love the crunchy texture of the granola with the creamy chia pudding and sweet fruit. It is not only delicious but it packs fiber, protein and heart healthy omega 3 fatty acids with the chia seeds. The chia pudding can actually be made days ahead of time, so you can assemble these quickly in the morning before school or work.